Changes To The Timetable for the 18th - 29th June 2018! We have put the finishing touches on the timetable for when the gorgeous Brit marries her Tim in Bali! 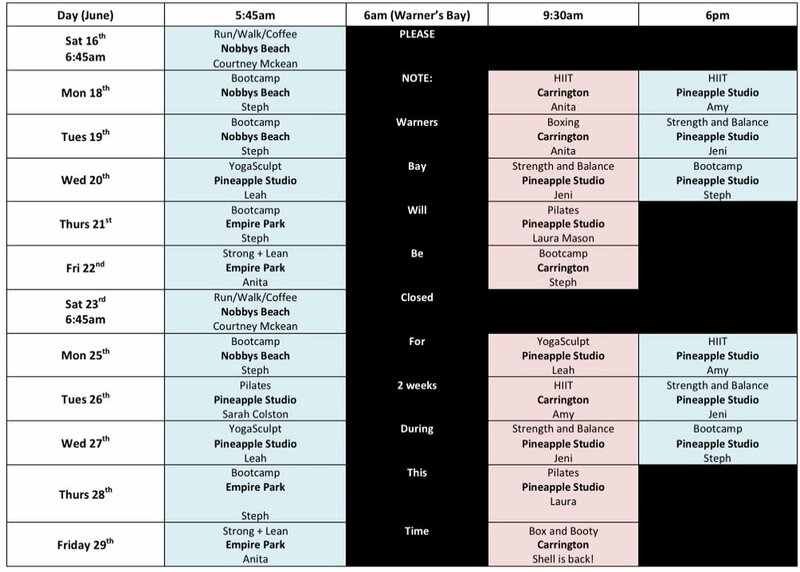 It has been so cool calling on our tribe and putting together a fun timetable to keep you training while we are away. What this means is that we have a full timetable operating in Newcastle, and the Lake Mac location will merge with Newcastle for a 2 week period from 18th June to the 29th June. It will be a great opportunity to come together as one big crew! As you will see on the timetable below, we have a few brilliant trainers joining us for the two weeks! We have the amazing Steph who used to work for us and now runs her own fitness business at Cameron Park as well as Leah who currently runs yoga for us on a Wednesday morning! Our incredible Pilates instructor Laura will still be taking Thursdays Mum classes as usual! 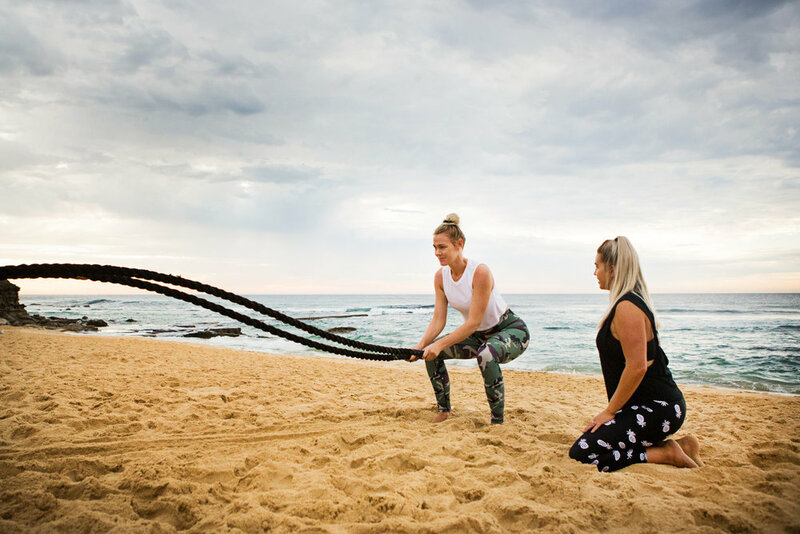 Gun trainer Anita who currently takes Stretch + Release at Warners Bay on a Friday will be making some cameo appearances at Friday Strong + Lean and a few Mums sessions! Woo hoo - I know you have all missed her! We will also have two of our amazing clients Amy Robilliard and Sarah Colston taking a couple of classes! So many talented people in our crew! Amy is a qualified Exercise Physiologist and Sarah is a qualified Physiotherapist and Pilates instructor! Last but definitely not least, we will have Jeni from The Movement Collective taking a Strength and Balancing class for one of the night and Mums classes! Contacts for while we are away! 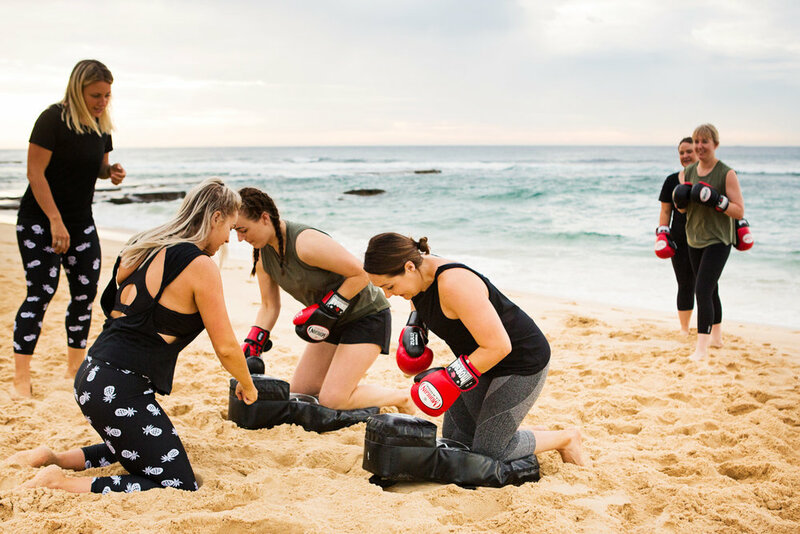 Please email Donna at hello@pineapplefit.com.au and she will action your request ASAP! Make sure you follow along the wedding fun on our social media pages too!